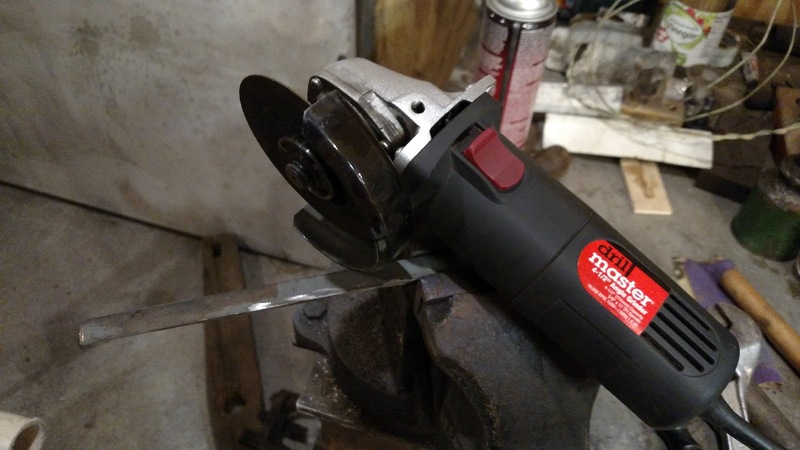 I had several of these heavy power hacksaw blades hanging in the shop. I decided to cut one up and make some hook knives. 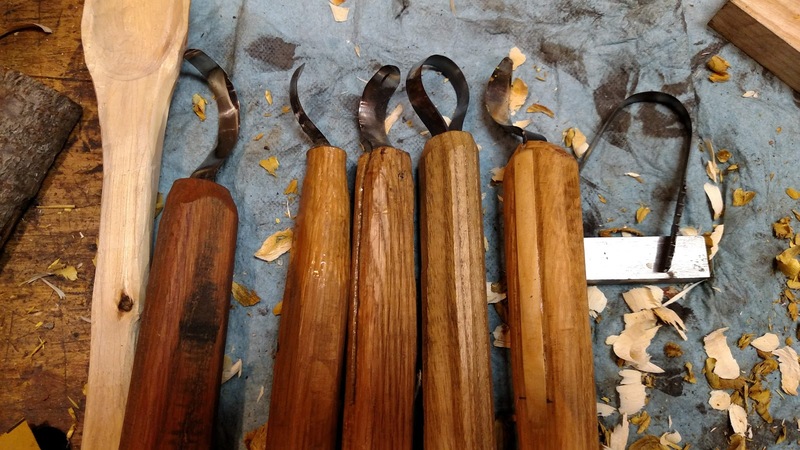 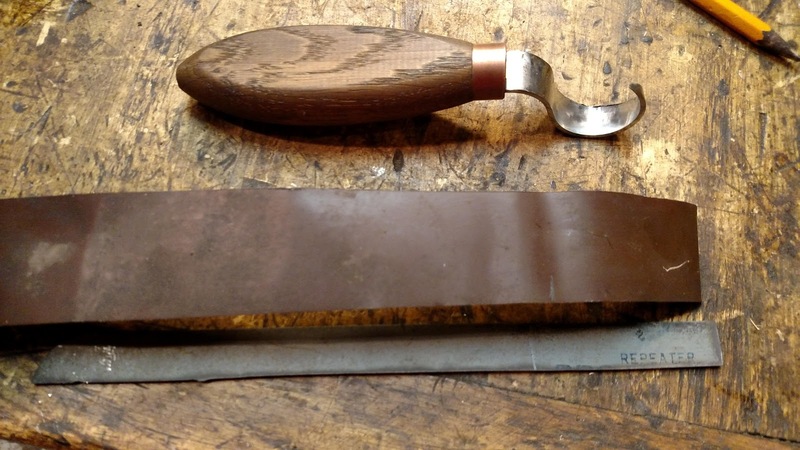 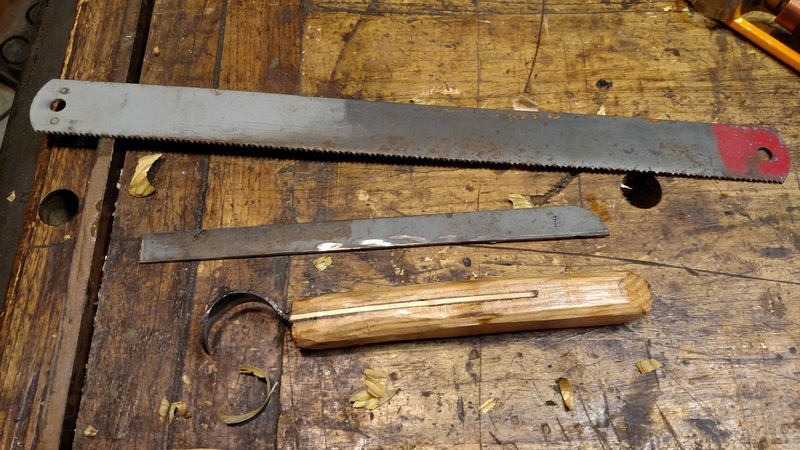 The blades were wide enough to cut two widths, then halved to make 4 knives. 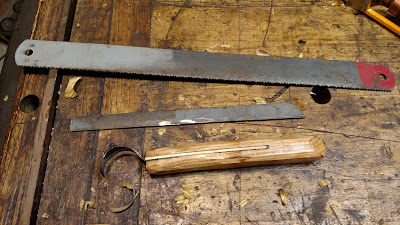 I used my cheap crappy Beaver Craft knife as a sort of template. I used a piece of aluminum flashing to make a template of sorts. 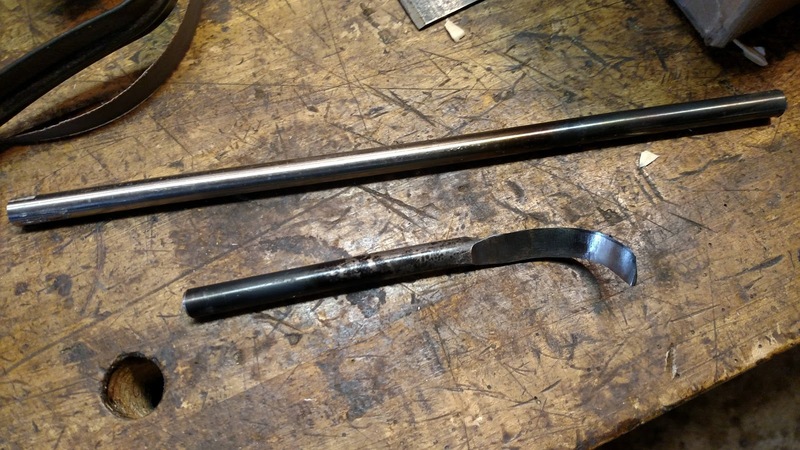 I tend to make things larger than I need, and in this project that is not a good thing. 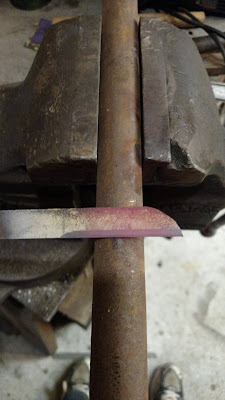 Bending the aluminum to shape, marking it and then straighten it back out I got the right dimensions. 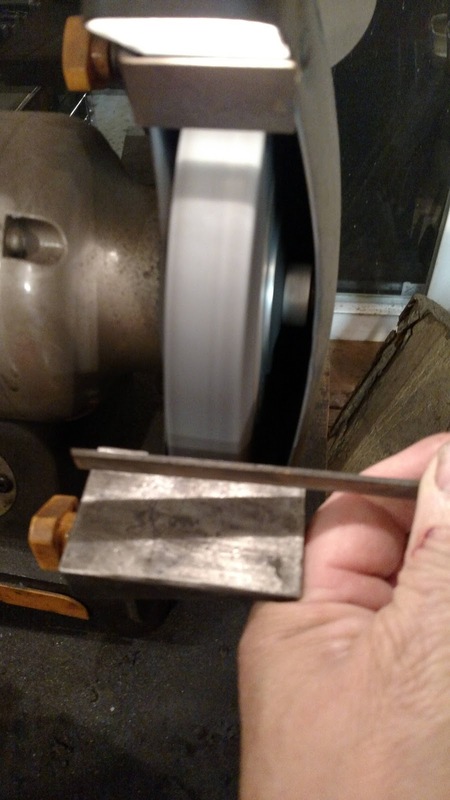 I used the grinder to form a rough bevel. 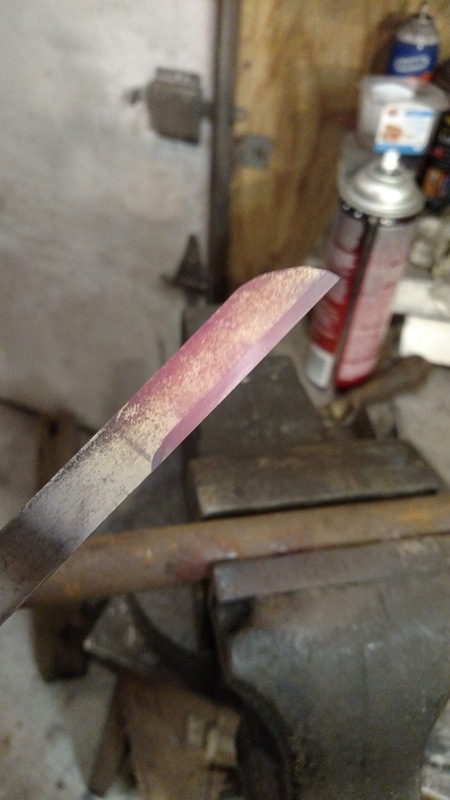 I’ve now done this both before and after heat treating and I’m not sure there is a big difference. 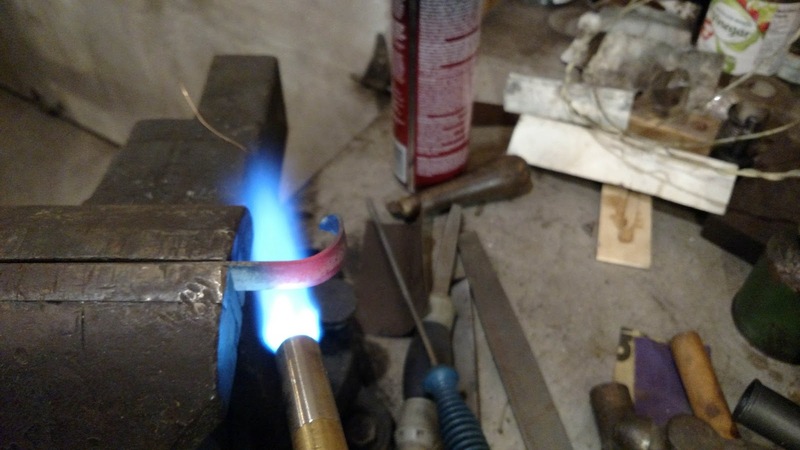 Obviously after heat treating you need to make sure you don’t let it get to hot, but its still very doable. 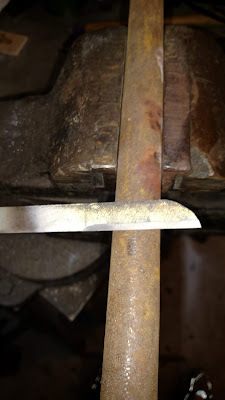 Cutting to rough shape was completed with a cut off wheel in the hand held grinder. I’ve made a couple of these knives so far. 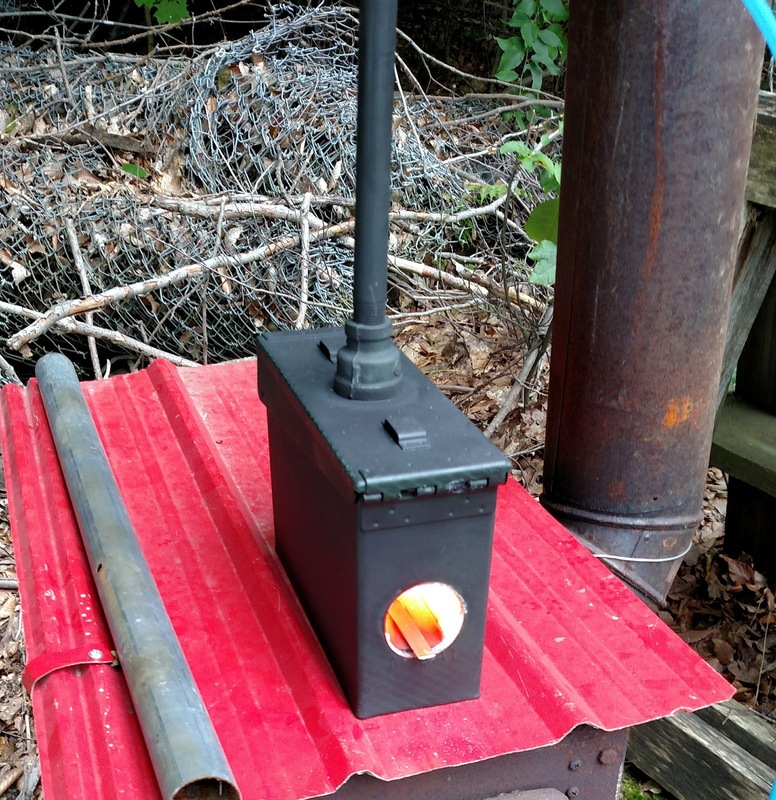 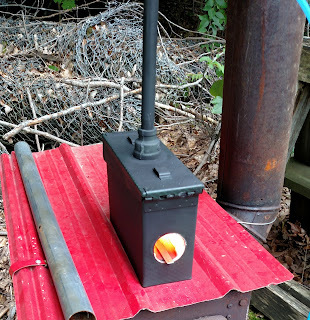 I’ve used both my propane mini forge and nothing but the mapp torch. 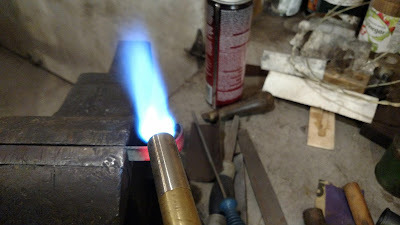 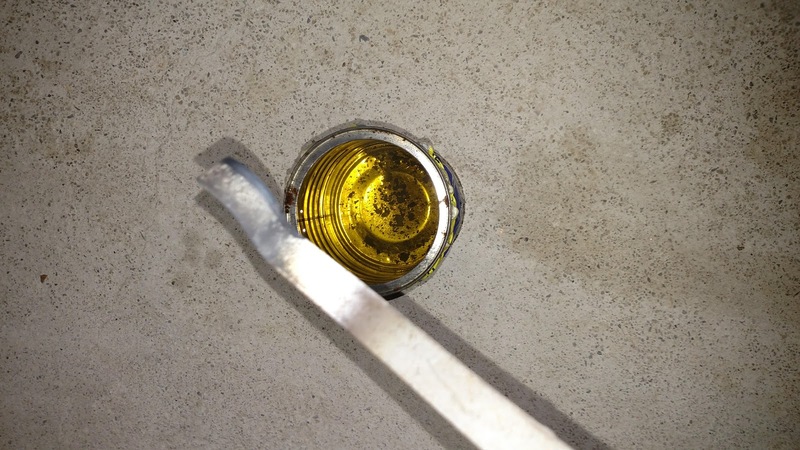 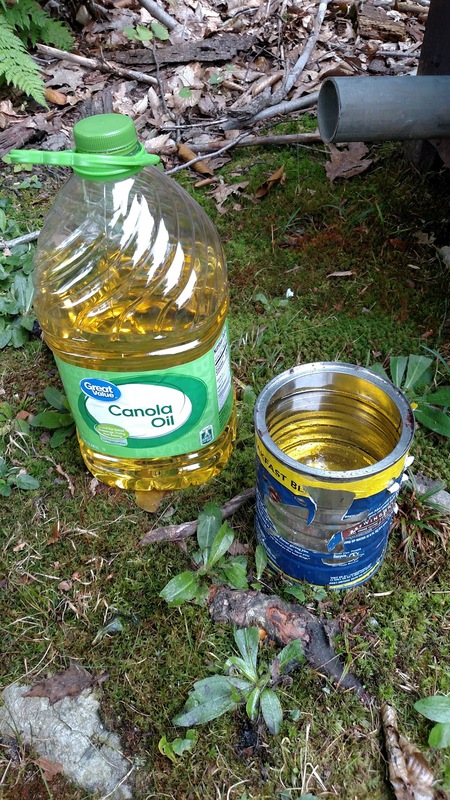 Obviously the mini forge is a little quicker to heat, but the mapp gas does just fine. 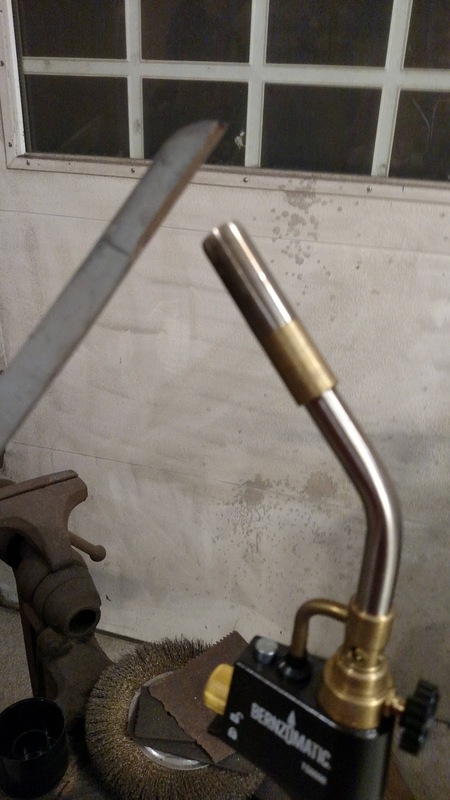 Here i made the final bend. 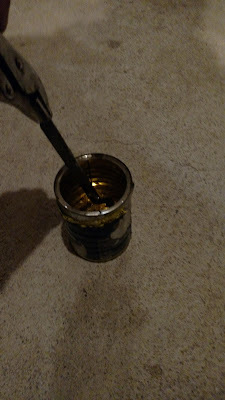 I held the knife in the vice, heated it and bent it with an adjustable wrench. 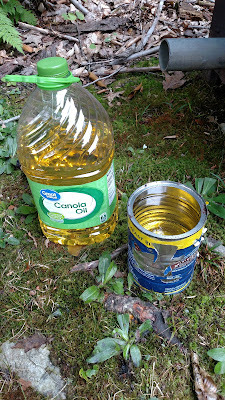 It was then heat treated using canola oil. 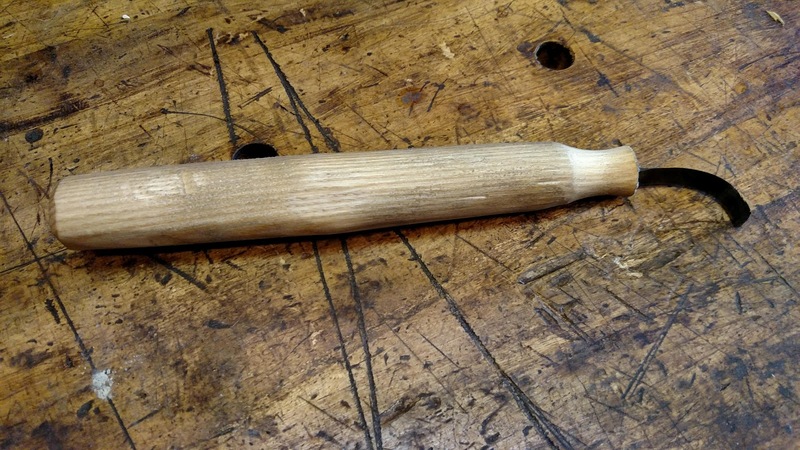 I have also purchased some 3/8″ O-1 rod to make hook knives. 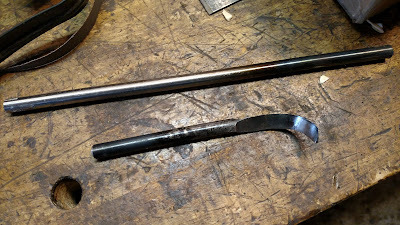 The rod took a little more forging, but seems to have a more consistent results. I heated and flatten the hook end and ground to shape similar to the blades above. I then bent it by forming around the steel rod the same as I did above. 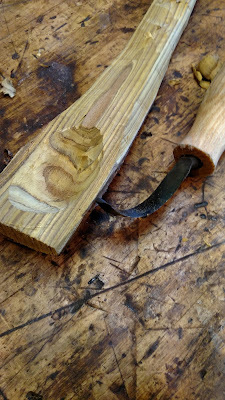 A word of caution. The first one i made I accidentally thumped on the bench after heat treating and before tempering. It snapped it in half. Be careful. After heat treating the blade is very brittle. This seems to be a little easier to sharpen, but I’m also advancing my skill level so that could come into play a little as well.